From the 16th to the 18th of January, 2015, the FIS Ski Jumping World Cup was held at the Great Krokiew im. Stanislawa Marusarza in Zakopane, Poland. The largest and most prestigious winter sport event in Poland, it attracts tens of thousands of fans every year. According to the organizers, last year’s on the Great Krokiew drew approximately 25,000 spectators. MetLife Insurance was the official sponsor of the 2015 Ski Jumping World Cup in Zakopane. We were proud to be involved in such a fantastic project to cooperate with the primary sponsor of the event. 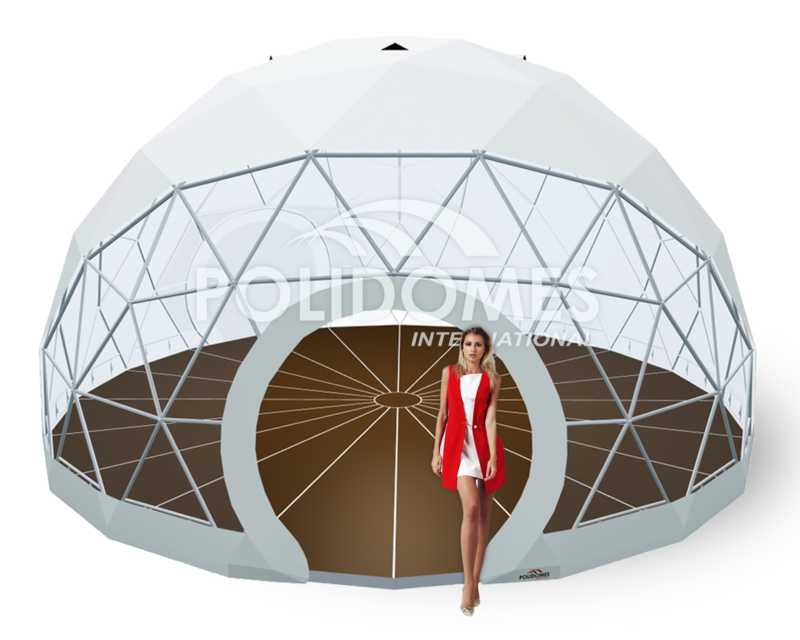 At the request of the MetLife Company, we completed the construction of a fully-branded, spherical/open Polidome 50 amphitheater dome with a Pollywood floor and anti-slip system. 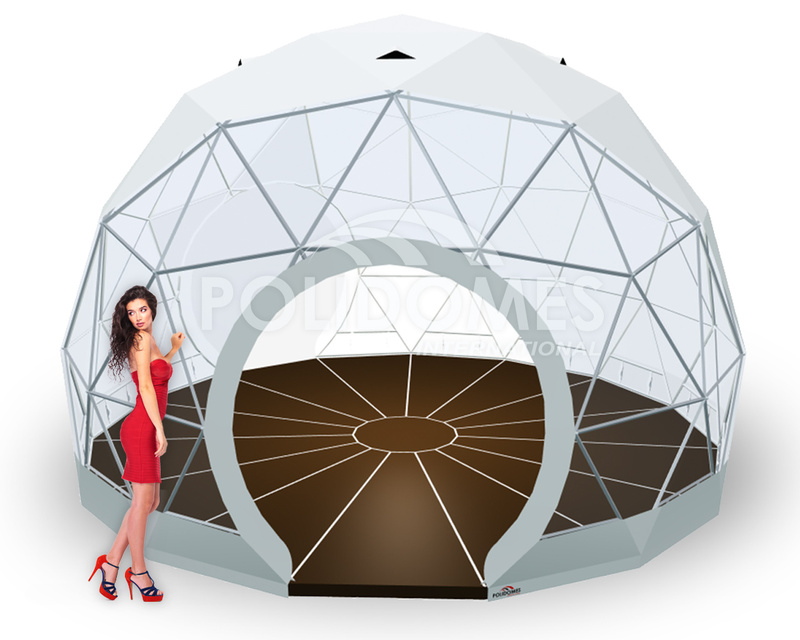 We also provided a fully transparent, heated Polidome 30 tent. Both tents were sensational, and underlined the importance of the event. 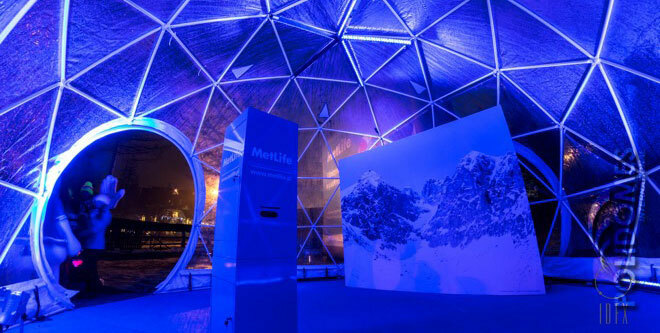 Moreover, they appropriately distinguished the main sponsor, the MetLife Company. 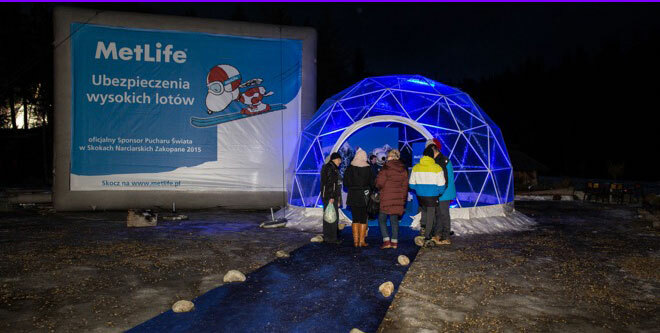 After the success of the winter event, MetLife Company decided to take advantage of our spherical solutions for the second time, making a Polidome 50 tent the focal point a series of children’s events called the “Kocham Rowerek Tour”. 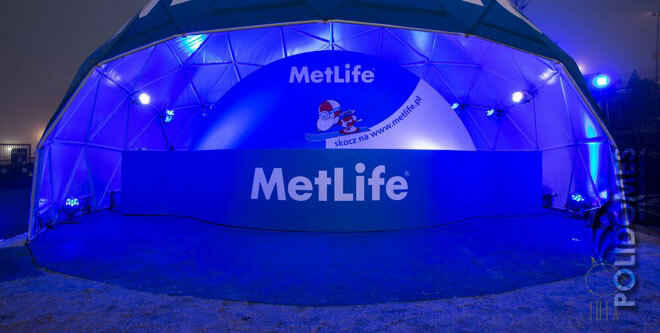 This time, MetLife organised family events across Poland. The main aim of the events was to involve urban residents to healthy competition and teach children about fair play. It is an opportunity for great outdoor fun with the family. If you have any questions about our projects or marquees, please contact us.